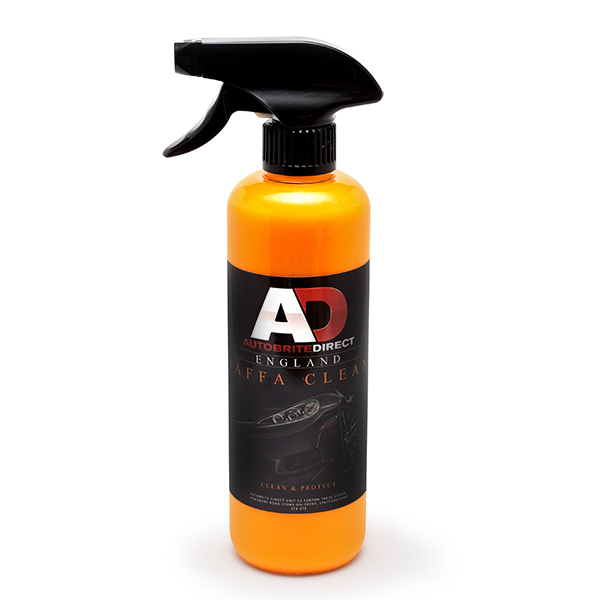 Citrus Wash APC It can be used as a pre-wash cleaner and degreaser, a bug remover and a general all purpose cleaner for your wheels, arches, door edges and boot appertures. Just The Tonic - Tar + Glue Remover Just the Tonic is a hydrocarbon based formula containing no chlorinated solvents or methanol. It is highly effective at removing tar, glue, and asphalt from most hard surfaces including painted surfaces. Jaffa Clean Jaffa Clean has been formulated to cut through dirt, grime, grease and oil from your engine bay and doorshuts along with other dirty, greasy panels on the car leaving a glossy, clean and greasy free surface. 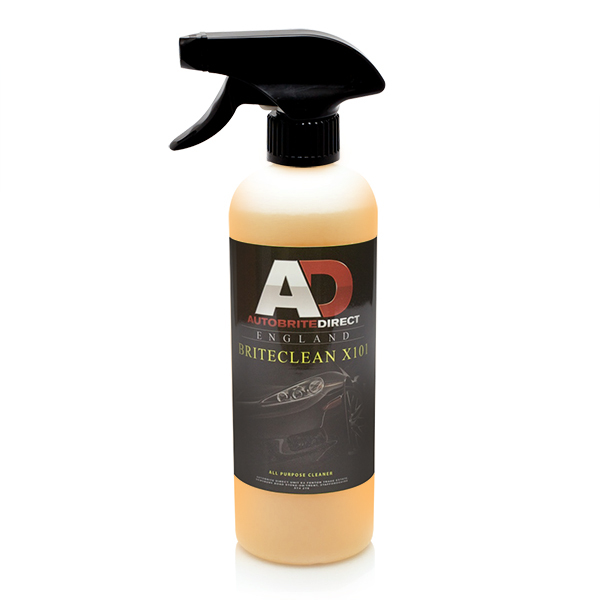 Briteclean X101 APC Briteclean X101 is a professional strength, solvent free, multi purpose cleaner designed to clean all exterior and interior automotive surface materials quickly and safely. Highly effective on grease, oil, exhaust soot, interior fabrics, interior trim and brake dust. It is also strong enough to strip most synthetic sealants and waxes too. Wax Off Wax Off is a product that totally strips off all existing wax coating layers from the surface ensuring a wax, grease and oil free surface ready to apply your choice of product. 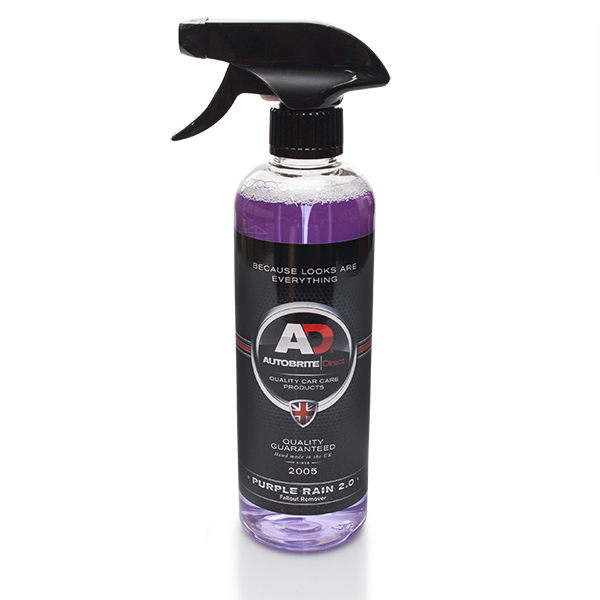 Purple Rain 2.0 Purple Rain 2.0 is a enhanced new formula pH balanced Iron remover/cleaner designed to dissolve brake dust and iron contaminants upon contact. 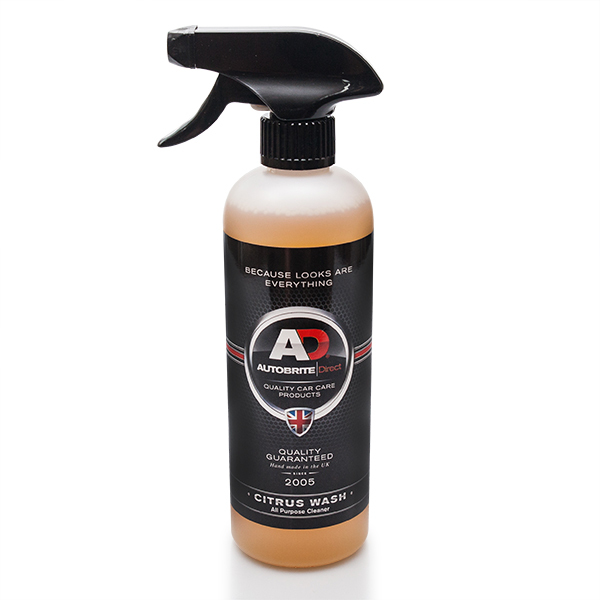 Created specifically for cleaning wheels and paintwork, it is also safe for use on other exterior surfaces where iron contaminants are difficult to remove. 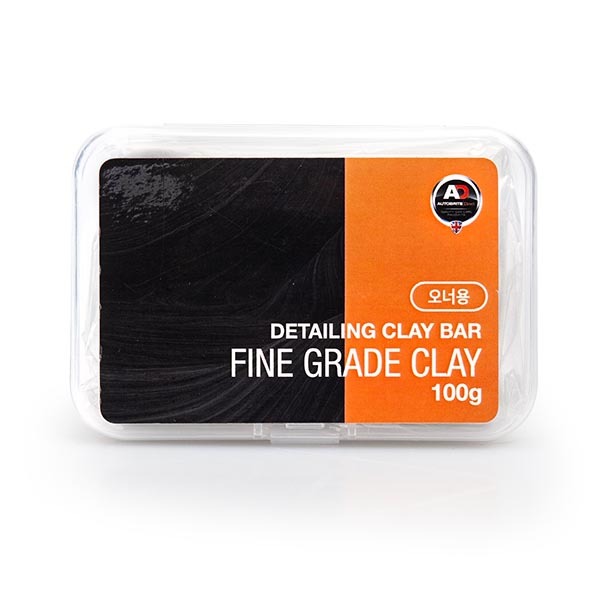 Fine Grade Clay Bar The fine Cleaner Clay has been designed to remove insects, tree sap, over spray, fall out, metail filings, rust, brake dust and all other heavily ingrained contaminants on your paintwork and glass. It is an Fine Grade clay that will pick up the harmful contaminants with ease from the paintwork and glass leaving the surface as smooth as smooth can be ready for the polishing stage. 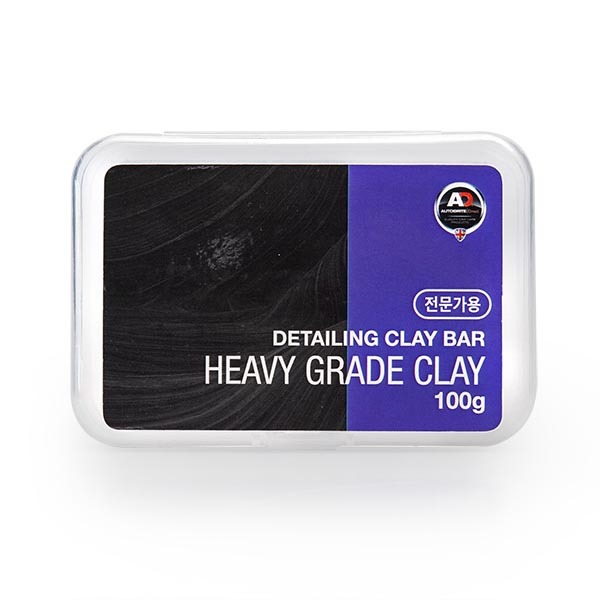 Heavy Grade Clay Bar The heavy grade Clar has been designed to remove insects, tree sap, over spray, fall out, metail filings, rust, brake dust and all other heavily ingrained contaminants on your paintwork and glass. The clay is an elasticated sticky clay that will pick up the harmful contaminants with ease from the paintwork and glass leaving the surface as smooth as smooth can be ready for the polishing stage. Scratch-out - Scratch Remover Scratch out has been designed to be used via a microfibre applicator or a polishing machine. 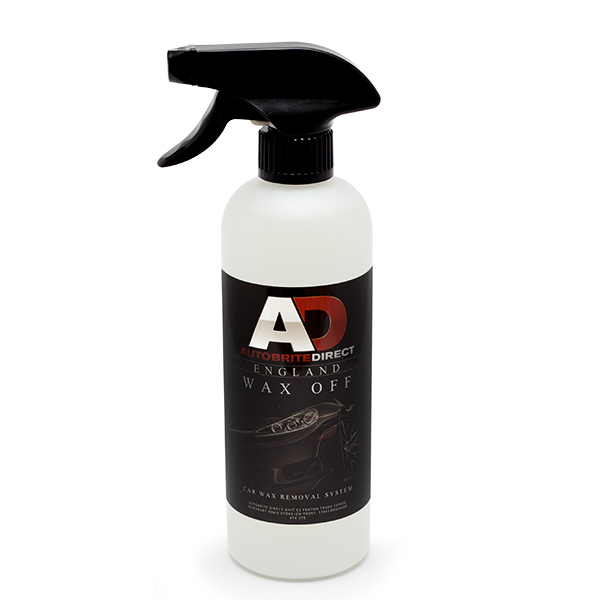 This product is particular good for removing fingernail marks from the underside of the door handles to get rid of the nasty scratches that occour from wear and tear. Also Scratch out is clear coat safe and is designed to completely remove scratches ensuring a clean scratched free surface. 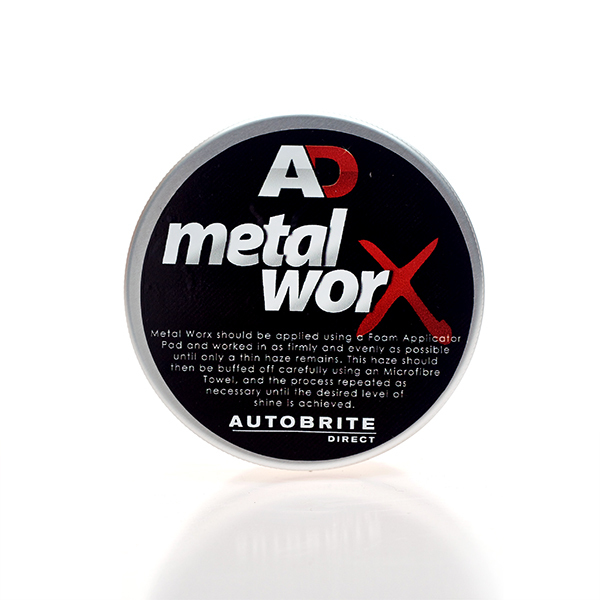 Metal Worx Metal Worx gently cleans away surface contaminants, rust, grime, tarnish and carbon making metal, chrome, brass, cast aliminium, gold, copper, alloy and any other metal polishable surface you can clean sparkle and look like new. Renew Renew has very fine abrasives to help eliminate swirls, fillers to mask swirls (when used by hand) and carnauba wax to help protect your rejuvenated paintwork. It will Renew your paint, and your love for your car.